Cannon Beach is one of the most photographed beaches on the Oregon Coast which is no surprise due to it’s natural Oregon Coast beauty. This small cottage town is recognized by its well-known landmark, the huge iconic monolith Haystack Rock. This igneous rock has an elevation of 235 feet and is protected as a marine sanctuary, Oregon Islands National Wildlife Refuge. With all of this natural beauty it is probably the best location for engagement photos in all of Oregon! 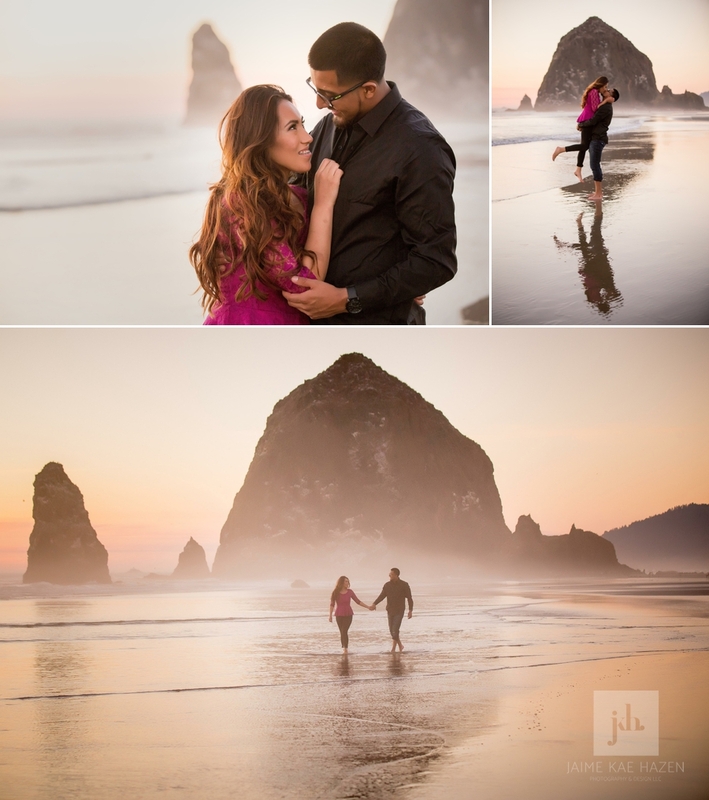 Get in touch with me and I’ll help you plan the perfect engagement session in Cannon Beach, Oregon.